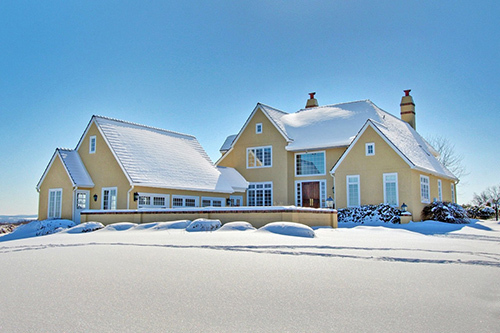 We are also licensed in Maryland, which means we can serve your luxury real estate needs in Northern Maryland as well. Our designation as a Century 21® Fine Homes and Estates Office makes us uniquely qualified to handle your luxury real estate transaction. This means the office has met the most stringent criteria in order to receive this coveted designation. You’ll have the confidence that comes with having the prestigious Century 21® brand behind your transaction. Our brand earned the distinction of receiving the highest numerical score from first-time and repeat home buyers in the J.D. Power 2014 Home Buyer/Seller Study. Our fine estates agents aren’t just your average salespeople — they’re actually Certified Luxury Specialists. By working with a CLS, you’ll be served by a trained professional who has a unique understand of the luxury real estate market in Central PA and Northern Maryland. We combine our astute market insight with a clear understanding of your needs and goals to ensure the best possible client experience. We also furnish our agents with the cutting-edge tools and resources necessary to facilitate your buying or selling transaction. Expert Valuation of Luxury Homes and Fine Estates for Sale Proper valuation of a luxury home can be even more challenging than in traditional home markets. Your Certified Luxury Specialist will apply his or her expertise to accurately assess your home’s true market value. You can be sure that your asking price will be in line with market expectations, increasing the likelihood of a fast and profitable sale. If you’re a luxury real estate buyer, your CLS can properly advise you as to whether the listed price for a particular property is fair and reasonable. The process of selling a mansion or looking for a luxury home for sale can take time. With your busy lifestyle, time is a precious commodity that is often in short supply. Your professional CLS will do all of the legwork for you, removing much of the burden from your shoulders. With our fine homes real estate services, you’ll also be free to devote your full attention to more pressing matters. CENTURY 21 Core Partners is well-known throughout the Central PA and Northern Maryland region for providing the best service to the area’s luxury real estate market. Our professionalism, prompt response times and attention to detail has made us the preferred choice of homeowners — whether they’re looking to buy fine homes or offering luxury real estate for sale.